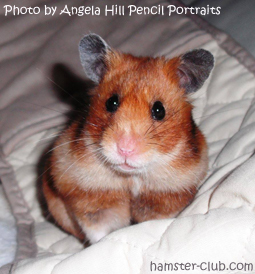 Hamster Club :: Pests that may enter in your hamster's cage! Pests that may enter in your hamster's cage! A clean dry cage is essential to your hamster's health. He does not like dampness since the hamster will suffer from it. A hamster kept in a dry cage that is cleaned often will remain in better condition than one kept in a cage in which moisture especially urine, is allowed to accumulate. For drinking purposes, do not put water in a cup. It is almost certain to be spilled into the bedding material. Do not allow fresh fruits or vegetables to remain in the cage uneaten. They too can contribute to the unwanted dampness. If bedding does become wet for any reason whatsoever, replace it immediately with dry litter. Be sure that wild rats or mice do not have access to your hamster's cage. They may be carriers to all kinds of parasitic infections. 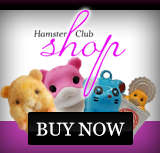 If you purchase a new hamster, make sure that he is in good health before bringing him into the same room with your others. 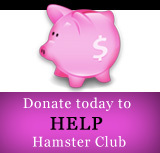 Household pests like roaches, bedbugs and mites, frequently enter hamster cages. When using an insecticide, you must remove the hamster from the cage. Put him in a temporary holding area in another room. Disinfect the cage thoroughly, discarding all old litter, replacing it with new and do not return the hamster to the cage until you are sure that it is perfectly dry.